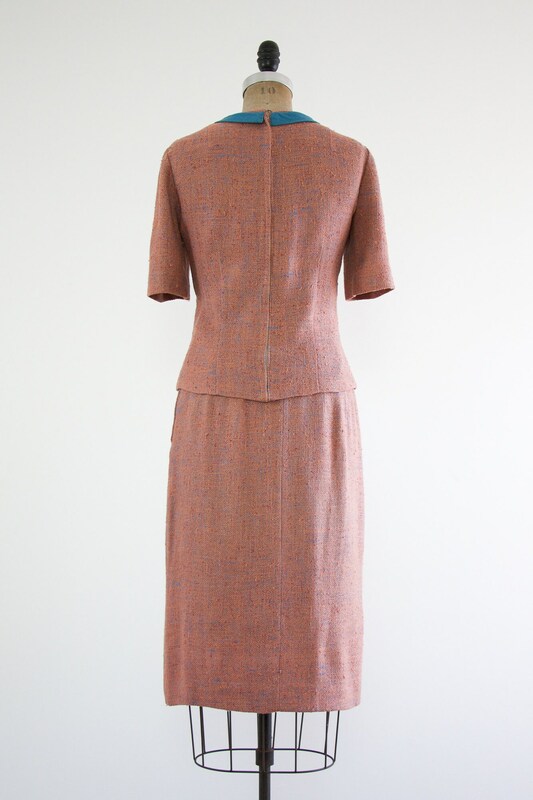 Vintage 1960s pink suit. 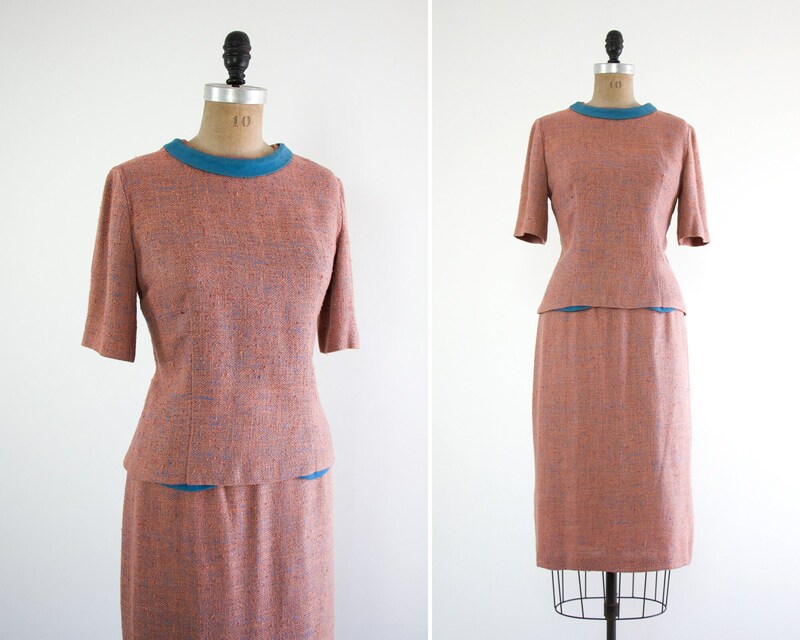 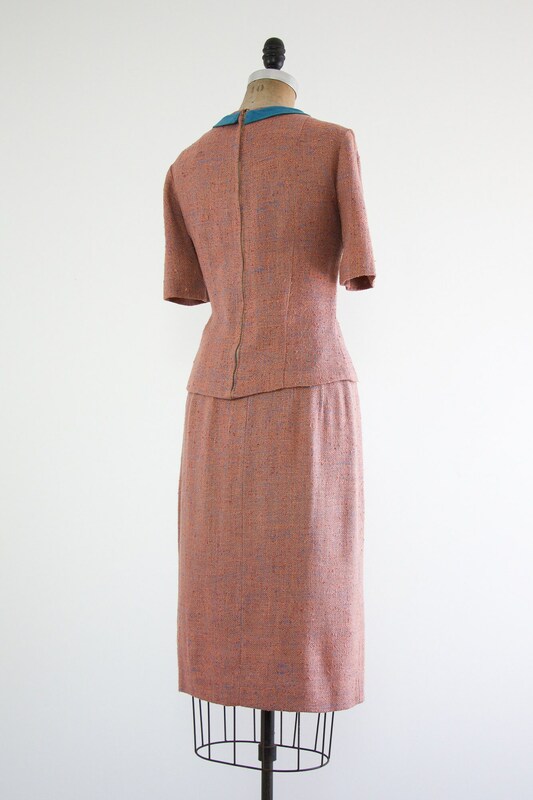 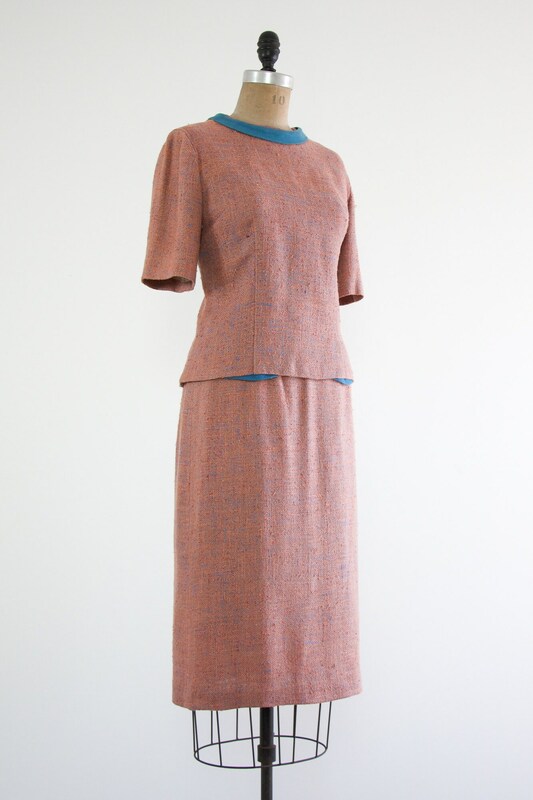 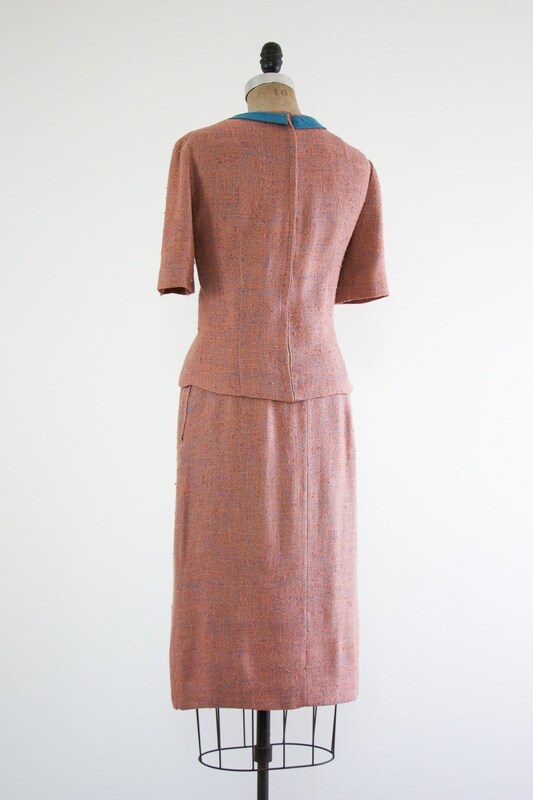 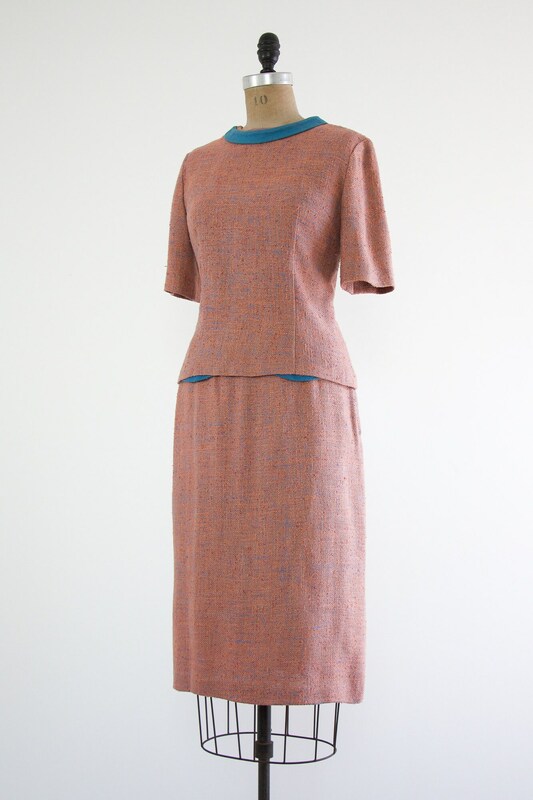 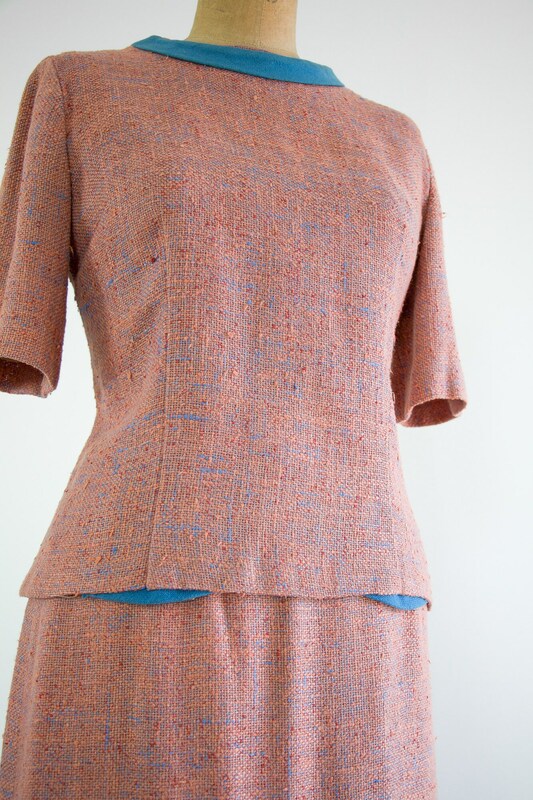 This skirt suit dress set is made from a nubby tweed. 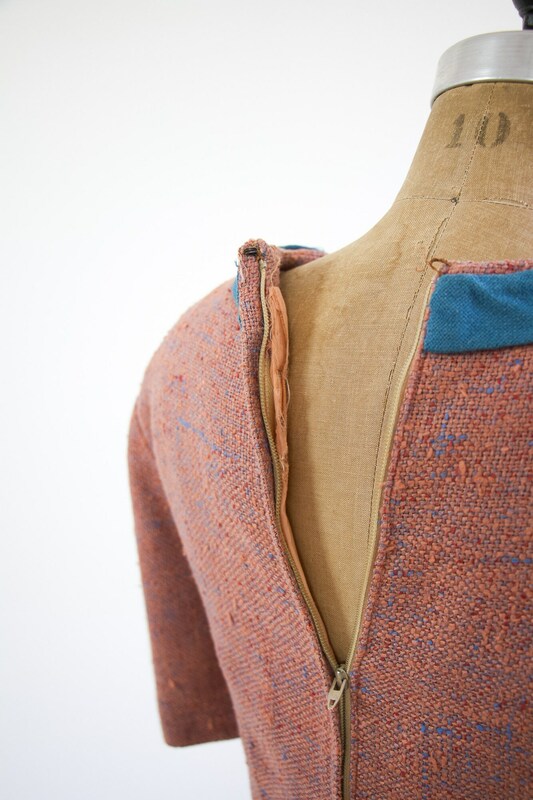 Dusty rose in color with cornflower blue flecks and trimmings. 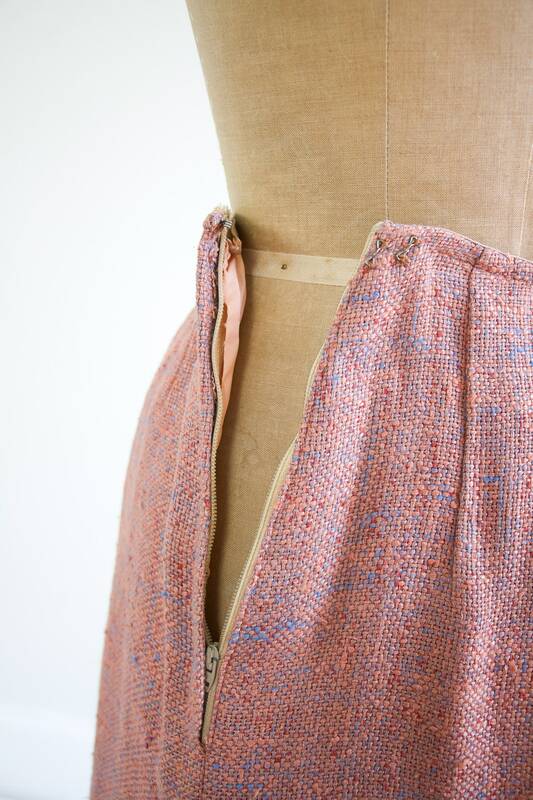 Blouse zips up the back and skirt zips up the side. 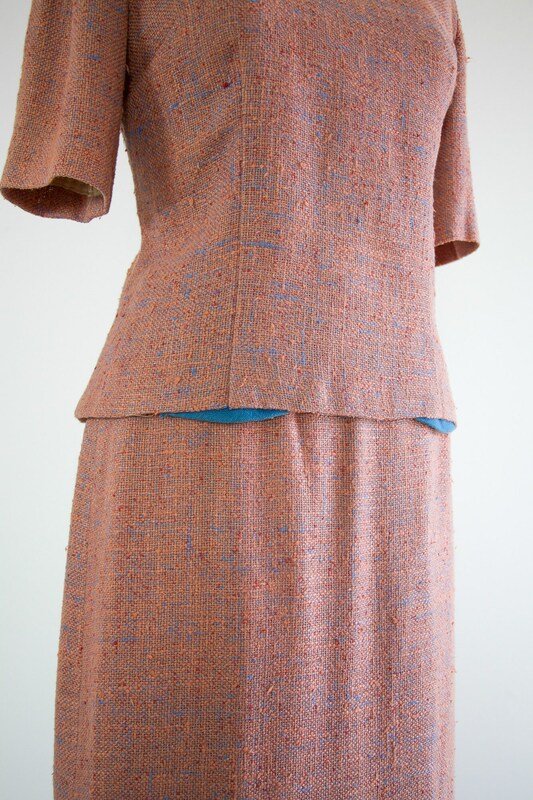 Outfit is fully lined.